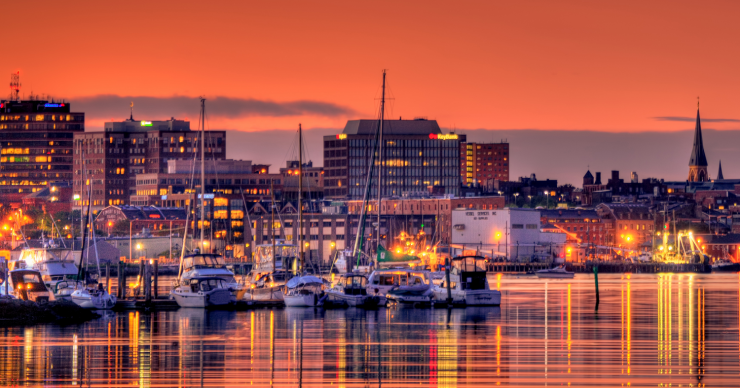 Are you thinking about moving to Portland, Maine? If so, you’ve come to the right place. I’ve created this guide to serve as a reference point – it’s something I wish I had when moving up here three years ago. Quick note – if you want to learn more about the area, feel free to contact me. 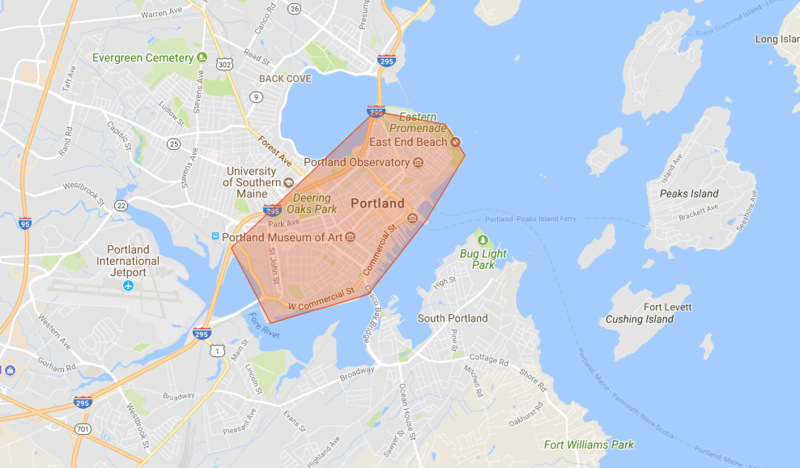 About me: I grew up in Eastern Maine (about two hours north of Portland), however, I also lived in Boston for a few years during/after college. I’ve also spent a decent amount of time in Austin, Nashville, and other fast-growing cities across the country. 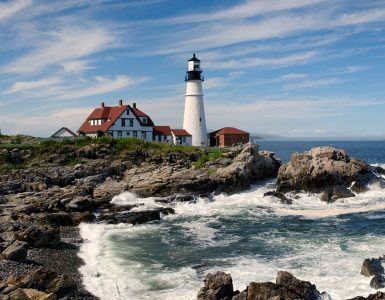 I’d like to think I can provide some perspective for people who have lived in Maine their entire life, while also providing a helpful perspective if you’re thinking about moving here from another state. 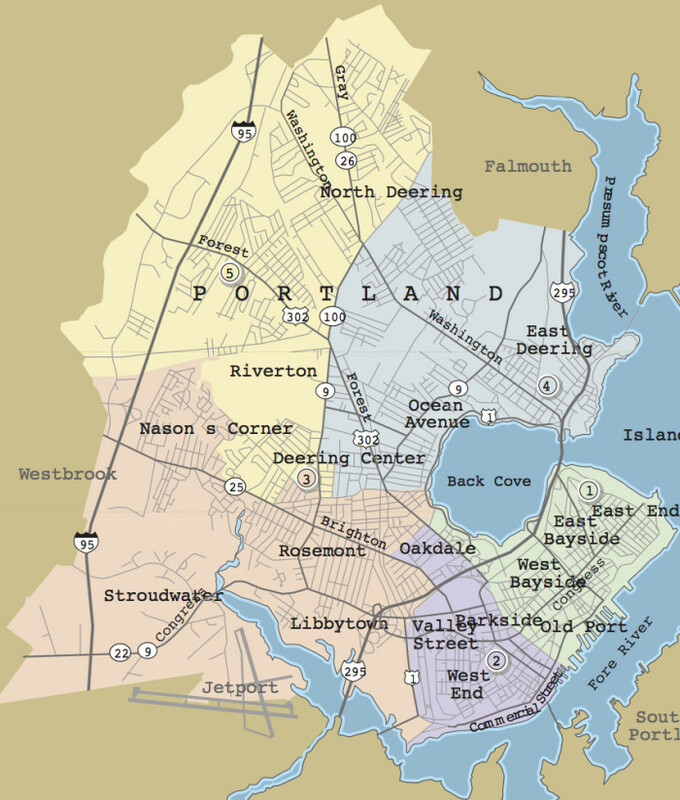 The first thing that would be useful is to check out this map of the various neighborhoods here in Portland (check out the full neighborhood guide). Hopefully, this serves as a north star for the rest of this post. First, let’s tackle the elephant in the room – where would you live? The first thing you need to understand is what drives the price. As you can imagine it’s the location. Specifically, it’s the proximity to downtown Portland (known as the peninsula). I’ve outlined this area in the image below. From one end of the peninsula to the other is about three miles, so it’s not very big. This is where the demand (and prices) are the highest. As a general rule of thumb, the further you move away from the peninsula, the more reasonable the prices get. This applies if you’re looking to rent or buy. The rental market has been pretty brutal here in town – I blame it on the fact that there’s a lot of demand, and not enough housing being built. The majority of the new construction is focused on selling condos vs. building apartment buildings because developers can pocket the proceeds vs. waiting. A byproduct of this is that rents are pretty high (if you’re moving from Boston or NYC it will seem low). According to data from the Maine Housing Authority, the rent for a two-bedroom would be about $1600/mo. Based on what I’ve heard on the street (I’m writing this in May 2018), that sounds about right. Expect quite a bit of competition, as the vacancy rate is low. Local landlords post rentals on Craigslist and Zillow, but Craigslist is by far the most popular marketplace, so that should be the go-to if you’re looking for a rental. I’m probably missing some towns on that list. At the time of this writing, there’s a lot of demand and not enough supply. I blame this on minimum lot sizes and the area’s trepidation around building up (i.e. – more density). You should expect to pay above asking price, especially if the home is in the $250k-$300k range. For many, they’ve decided to look at surrounding cities/towns like South Portland, Westbrook, Saco, and Windham for a starter home. 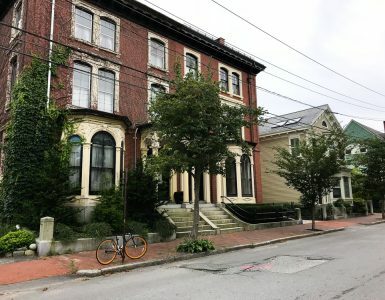 If the budget is less of a concern (aka if you want to spend $400k+), consider checking out Gorham, Scarborough, Cape Elizabeth, Falmouth, or Yarmouth. If you’re looking for a condo, there are quite a few units hitting the market on the peninsula but expect to pay over $350k + condo fees. The majority of development happening on the peninsula are new condos. Next up on the list – transportation and parking options. I’ve broken down this next section into “on-peninsula” vs. “off-peninsula” as this is what causes the discrepancy. You will probably want to explore the rest of the state on weekends. With that being said, parking can be difficult at times, especially in the Winter when it snows (hello parking ban). Certain areas have more parking spaces available, but if you have intentions of living on the peninsula and the place doesn’t have off-street parking, you will probably end up playing a game of musical vehicles. If you’re moving from Boston, you won’t have any issues. If you’re used to pulling into a dedicated parking space, have fun. One last anecdote – my wife and I share one vehicle (I have a moped too if that counts?). It’s possible to avoid vehicular transportation, but it may require an occasional Uber ride when schedules conflict. If you plan on living off the peninsula, there should be plenty of on (and off-street) parking available. Most homes have off-street parking available. With this option, it will be even tougher to avoid a vehicle. I don’t have a lot of expertise in this area, but if you have children and are wondering how the school systems stack up, check out this resource Zillow compiled. Feel free to cross-reference this with other data, including Great Schools and Niche. One final note – some of the best schools in Maine are in surrounding communities like Yarmouth, Falmouth, Cape Elizabeth, and Scarborough. Crime is something most Mainers don’t even think about. Maine has one of the lowest crime rates in the country, with only Vermont having a lower crime rate. With that being said, there are pockets where crime is more prevalent in Portland. For example, the Press Herald (local newspaper) did a massive story on the Bayside area and the transient population. This is the only area I’d watch out for. The city has discussed moving some of the shelters/resource centers off of the peninsula, but I have no idea when/if that will ever happen. I’m glad you asked! 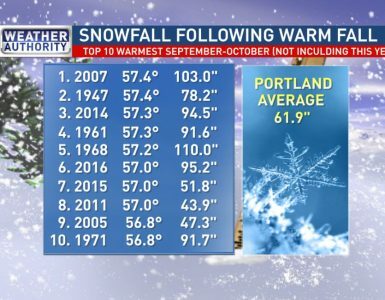 I wrote a guide on Winters in Portland. I’m job hunting, what do I do? In this final section, I’ll outline some various cultural aspects that I’ve learned after living here for three years. Some of this is immediately noticeable, other stuff, not so much. Residents are super supportive of area restaurants, breweries and other smaller-scale businesses like farmer’s markets. When the Summer rolls around, people tend to get a bit grumpy when all the people from out of state come and visit. Portland is a great city, if you’d like to help me improve this guide, please leave some feedback below!